Often people ask me whether there was a place I recommend for making a shell collecting holiday. It is a difficult thing to ask, almost like "hey, Buddy, tell me the place where you find all those mushrooms!"…. 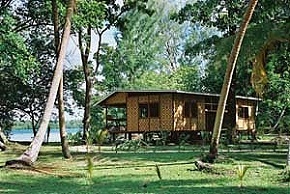 The Lissenung Island Resort near Kavieng, New Ireland, Papua New Guinea is a place every shell collector would keep as a secret. On a small island, a few hundred metres across, a resort was built and is run by our friend , an experienced dive instructor and one of the nicest people I know. He started picking up dead shells a few years ago and has developed a great skills in finding shells. Dietmar and his team welcome shell collectors on their island. You have to be willing to behave in an ecologically compatible way, but picking up some shells is not a problem here. 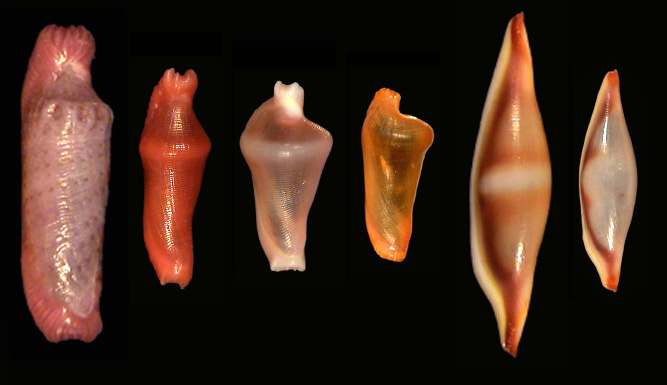 Till now, Dietmar has collected approximately one thousand species of Gastropods, many of them rare in other areas of the world, but fairly abundant on the reefs around Lissenung Island. 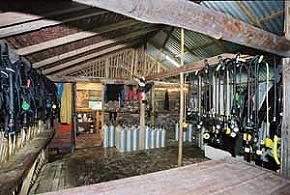 The following gallery shows species typically encountered by divers, as well as two species that were discovered among the material collected by Dietmar. 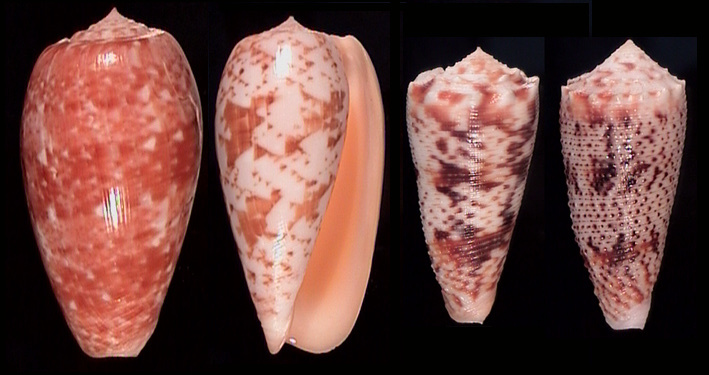 There are about eighty species of Cone shells encountered around Lissenung on a regular basis. 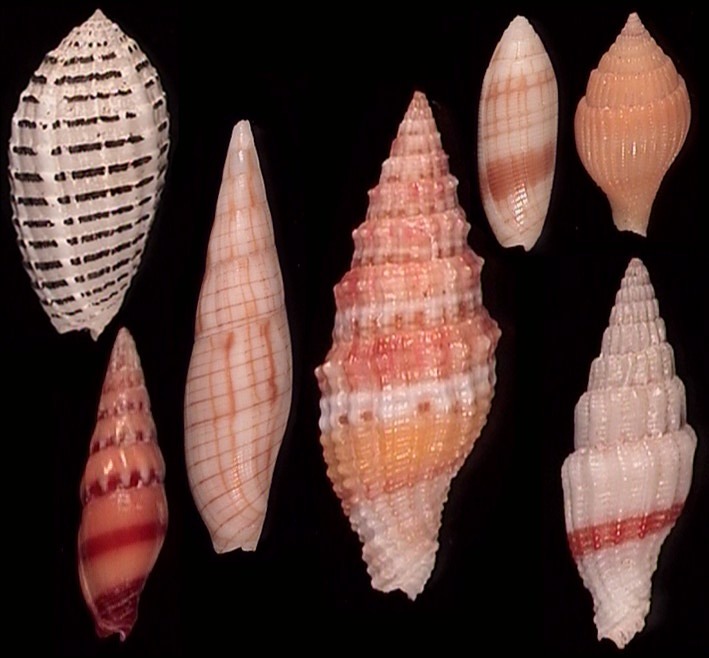 Among the interesting finds one is likely to make are certainly Conus aureus, bullatus, circumcisus, coffeae, cylindraceus, legatus and moluccensis. 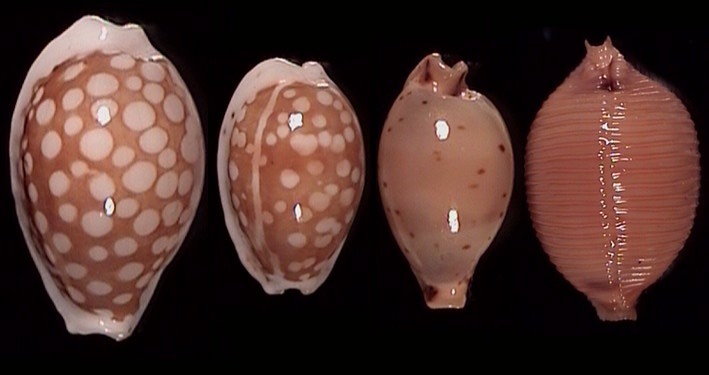 Among the larger cowries, the collector has a good chance to find argus, mauritiana, talpa and testudinaria, occasionally Dietmar picks up a fresh dead aurantium, I presume he never did an effort to find a live one because he is crazy for Ovulids. 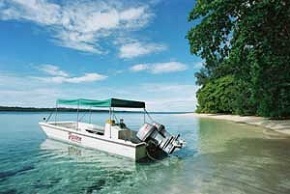 The beautiful dark red tigris on the right was taken from one of the numerous wrecks around Kavieng. 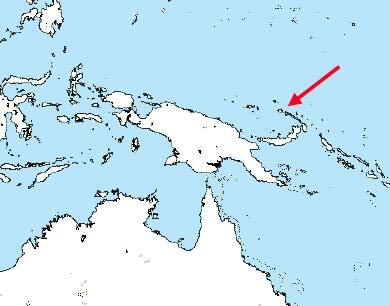 The mappa from New Ireland are special because they are the true mappa viridis. 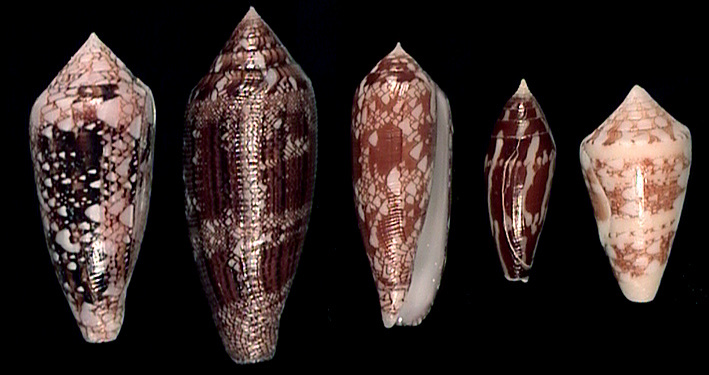 The shells are purplish-brown, with a distinct dark spot on the base. 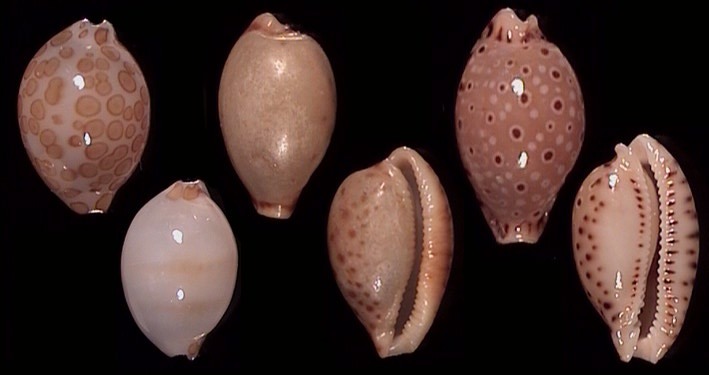 Tiny cowries are abundant in ledges and crevices. 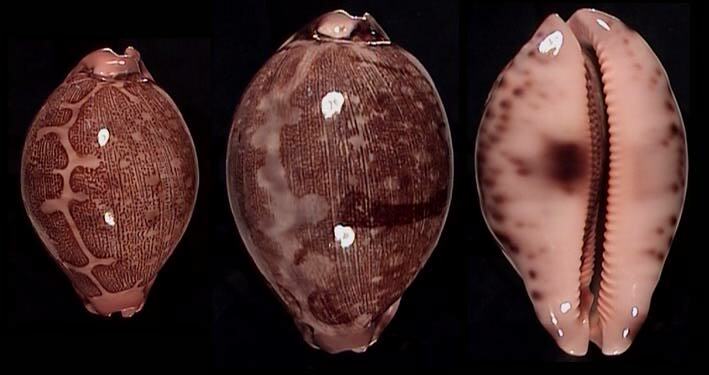 Lissenung has a large variety of them, including mariae and its unspotted variety suluensis, a yet unnamed species similar to beckii, which is a very common species at certain depths. 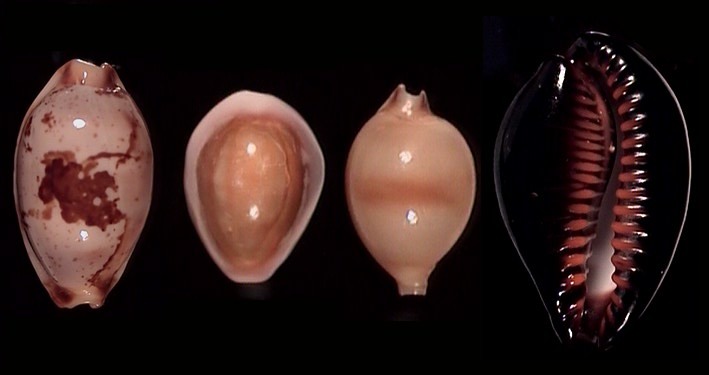 Cribrarula cribraria and catholicorum are lovely from the area around Lissenung Island, and also martinii and childreni can be gorgeous and an average diver will find a fair amount of acceptable dead ones. 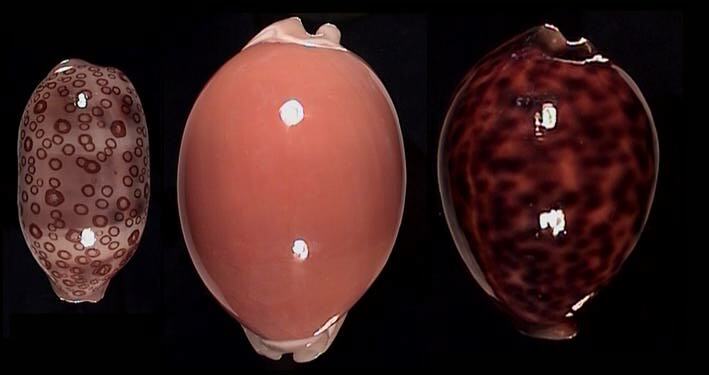 In total, at least eighty species of cowries occur around Kavieng!! 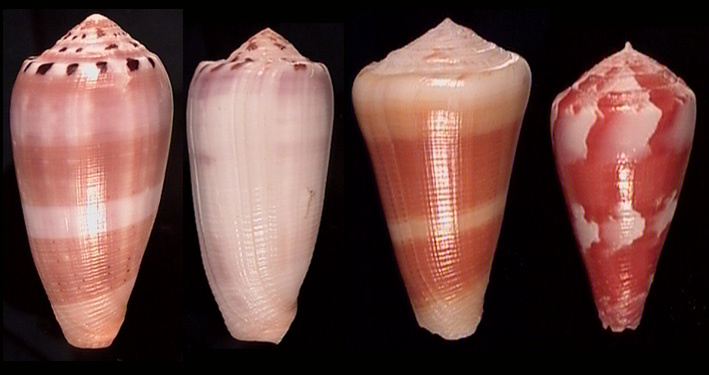 Interestingly, stolida (on the left) tends to be reddish like the ones from Kwajalein. The specimen of onyx melanesiae remains the only one taken by Dietmar so far, but again, what do you expect to find by looking only at gorgonians. lets face it: they really are nice!! A selection from the sixty or so Ovulids found around Kavieng. Mitroidea are incredibly diverse around Lissenung. At least 150 species have so far been collected. Sand-samples from certain areas have produced numerous rarities. The species shown here are typical for depths around the 20 m mark. 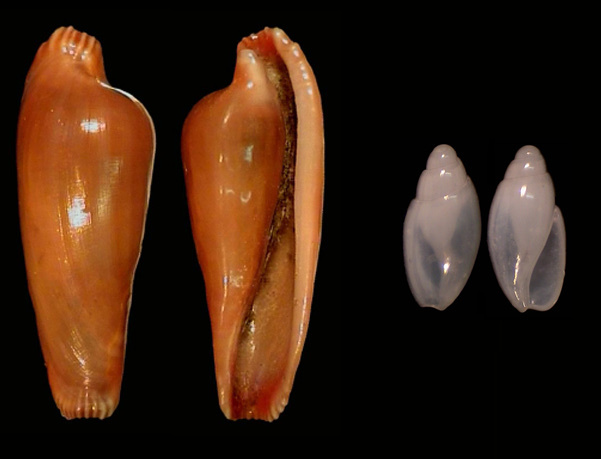 Dentiovula lissenungensis Lorenz 2004 and Janaoliva amoni Sterba & Lorenz 2005 were discovered in the material Dietmar has collected, and there are probably a lot more new species hiding in the untouched, fully intact coral reefs around New Ireland.